The main axis continues to grow. 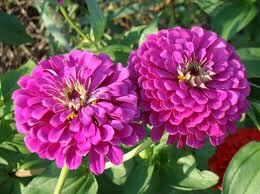 The flowers are borne laterally in an acropetal succession. The main axis terminates and lateral branches arise. 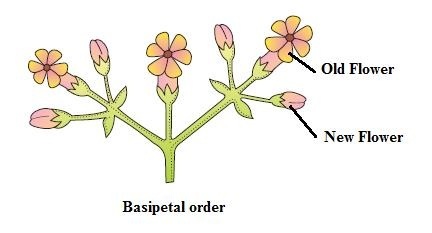 The main axis terminates in a flower. In capitulum inflorescence, the growth of peduncle is retarded and it become broad, flattened concave or convex. On it small flowers are found. 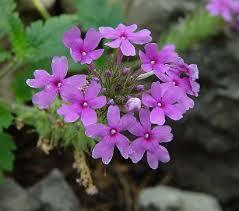 These flowers are called floret. 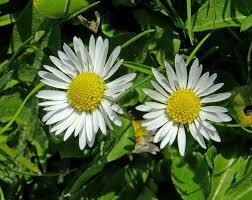 If all the flower of capitulum are same , then it is called homogamous. If two different type of floret, ray floret and disc floret are present in same inflorescence than it is known as heterogamous. 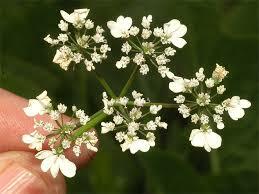 In this type of inflorescence florets may be unisexual, bisexual and sterile. This inflorescence is surrounded by one or more involucre. 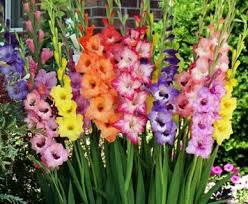 It is most advanced type of inflorescence. eg. 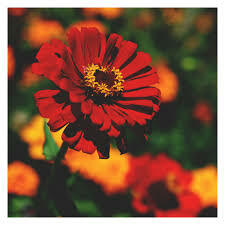 Sunflower, Zinnia, Marigold, Cosmos. 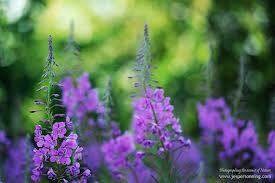 AIM: To study the flowers adapted to pollination by different agencies. Flowers adapted to pollination by different agencies. 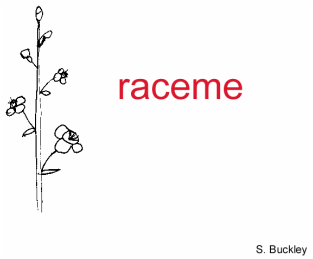 Students should be able to identify the type of pollination of the given flower, draw the diagram of the flower and give two reasons for the type of pollination. Flowers inconspicuous, non showy and not brightly coloured. Flowers are devoid of scent and nectar. Stamens are pendulous and also hang outside the flower. Anthers are versatile i.e. they are attached at the midpoint, so they will swing freely in the wind. 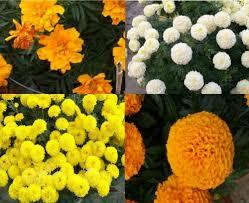 Pollen are produced in large number.